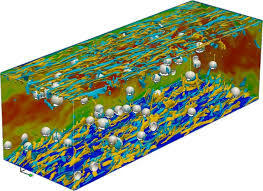 Igor A. Bolotnov, PhD, a professor in the nuclear engineering department uses RENCI expertise to perform large–scale simulations of turbulent bubbly flows. Turbulence is one of the most challenging and interesting phenomena in nature, playing a pivotal role in many engineering disciplines (nuclear, chemical and biomedical). The team is conducting analysis of the influence of the bubbles and other structures on the turbulence, including parameters such as velocities, gas volume and kinetic energy. The research could impact the engineering and design of the next generation of nuclear power plants, chemical processing plants, marine propulsion systems and other multiphase flow engineering applications. Two major accomplishments from this project have already been achieved: a 2014 Department of Energy INCITE proposal, and a Consortium for Advanced Simulation of Light Water Reactors (CASL) proposal, now in the planning stages. RENCI works with Aranya Chakrabortty, PhD, Assistant Professor of electrical and computer engineering, and his research group to develop a method to effectively make sense of the increasing amounts of data generated from power grids. The goal of this project is to create visualization and visual-analytics tools to address this challenge and use the abundant data to understand dynamics of the grid. 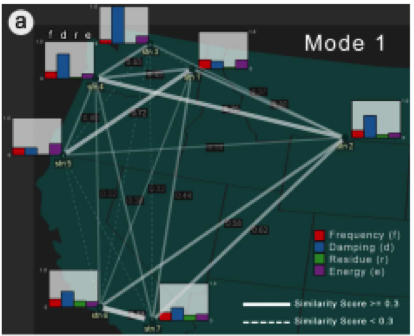 The researchers will develop spatial-temporal analysis of smart grid data that will help operators to model, monitor, and visualize power grid quantities and inherent uncertainties, which will lead to a more secure and robust smart grid. 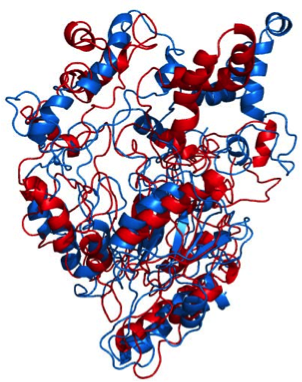 Yaroslava Yingling, PhD, a professor in the NC State materials science and engineering department, worked with RENCI’s Hong Yi to build a 3D visualization tool to study the structure of various proteins (seen above). 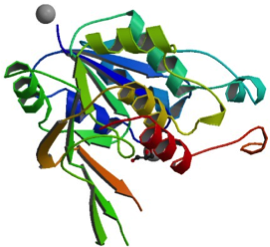 The research focused on understanding protein complexes that synthesize cellulose, the foundational component of plant cell walls, to find ways to produce energy from algae, bacteria and other plants or create new bio-renewable materials for manufacturing, medicine and other uses. The research team developed two open source tools, freely downloadable from http://sourceforge.net/projects/x3dbio1 and http://sourceforge.net/projects/x3dbio2. Helena Mitasova, PhD, a professor in the department of marine, Earth and atmospheric sciences, and her research team worked with RENCI’s Sidharth Thakur to create 3D models of the dynamics of North Carolina’s coastal terrain. 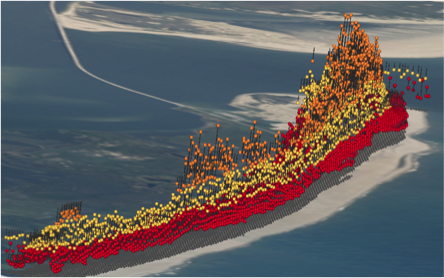 The researchers created visual, geographically accurate digital elevation models (DEMs) of the topography of the Outer Banks over time, which allowed them to study the effects of large events (such as hurricanes and storm surge) and long-term phenomena (such as winds and rising sea levels) on the terrain of the Outer Banks. 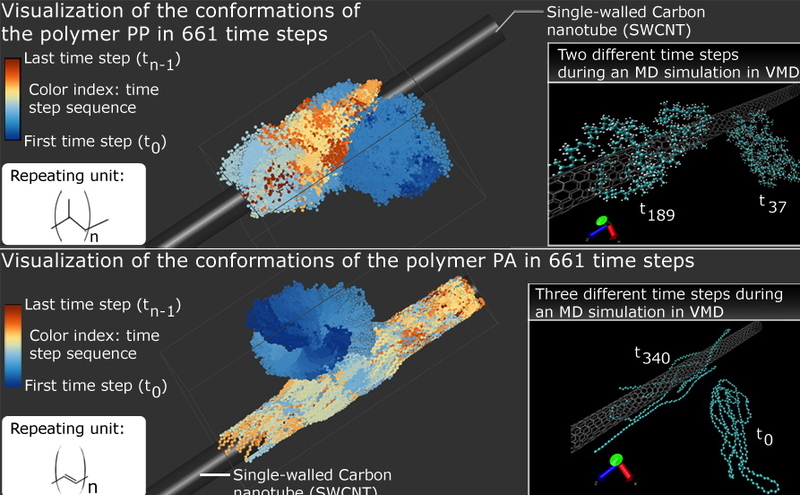 Melissa Pasquinelli, PhD, a textile researcher and assistant professor in the College of Textiles at NC State, worked with RENCI visualization expert Sidharth Thakur to create computer simulations of polymers which adjust properties of the material—such as temperatures, configurations and processes—virtually. The researchers use the simulations as a preliminary step before she experimenting with real-life materials. The visual and analytical tools created by RENCI help Pasquinelli obtain more insights into polymer systems. The researchers are applying that knowledge to develop stronger bulletproof vests and electro-conductive yarns. Thakur and Pasquinelli collaborated on several publications, including reports for the International Symposium on Visual Computing (2009), an Institute of Electrical and Electronics Engineers conference (2010), and an American Physical Society meeting (2010).